Still in love with the design of the Moto 360 (1st Gen)? 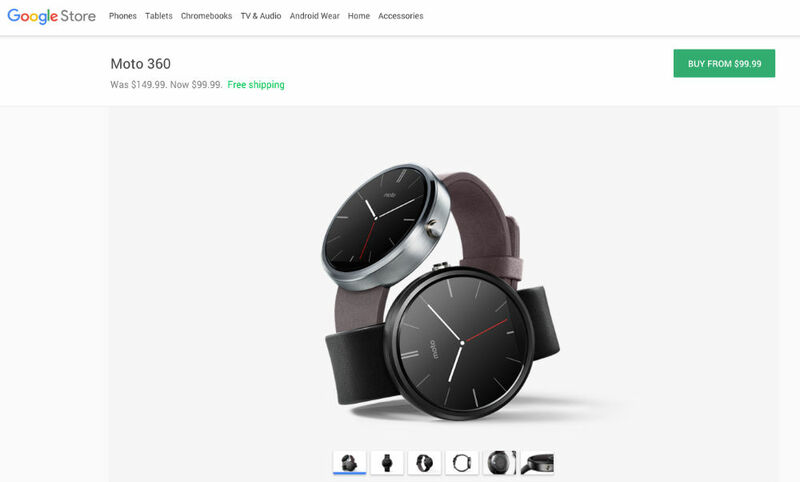 Well, Google is selling them for just $99 on the Google Store, available in Stone and Black models. Previously priced at $149, that’s another $50 mark down on the device, bringing it to its lowest price yet. When first launched, these were going for $250, so $99 ain’t all bad. Now, would I go recommending the Moto 360 (1st Gen) with its T.I. OMAP processor? Not exactly, but if blowing $250+ on a new Android Wear smartwatch does not interest you, this smartwatch will surely get the job done, and is still receiving updates from Motorola. So it’s not a bad option by any means.